Welcome to the 2018-2019 school year! This is a year of new beginnings for us. Beginnings are always exciting as they are filled with the hope and promise of new ideas, challenges, and growth. I am confident that this year will be a time of continued accomplishment and success, as we work together to achieve our mission of maximizing each child’s potential. 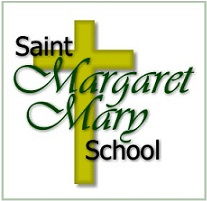 I feel blessed to be principal at St. Margaret Mary School, a faith filled, family centered school with academic excellence, rich in tradition since 1949. Along with the staff and parents, I will work hard to continue the legacy of success established at St. Margaret Mary by building strong relationships with parents, students, staff, and our community partners. Providing an excellent education is not possible without the great collaboration of students, parents and staff. Our talented faculty and staff shares in my commitment to educate the “whole child” academically, physically, socially, and spiritually. They have been preparing over the summer for a fruitful and exciting academic school year that fosters our mission to instill Catholic values and spiritual growth in our students. They will continue to guide our students to be global citizens ready to embrace opportunities for continuous growth and leadership wherever they go. I encourage parents to work with their children reviewing the concepts learned on a daily basis to help in building their education foundation and enhance their learning experience. Our theme this year is Leaders, Engaging, Growing, Observing and Serving (LEGOS) with our focus on building a strong foundation for our students to be successful both in and out of the classroom. Through our STREAM program we will continue to integrate our curriculum through science, technology, religion, engineering, the arts and math. This integrated approach creates multi-dimensional learning experiences that ensure our students thrive and achieve academic success. There have been some faculty changes over the summer and they are located on the Faculty page on our website. Another change I would like to bring to your attention is our Parent/Student Handbook. Several revisions were made to the handbook over the summer and I encourage you to review it with your student(s). The link is also posted on our school website under E-Files. I am honored to have the opportunity to lead a school with such a rich tradition of spiritual strength and academic excellence and am looking forward to a great school year with your children.